When it comes to family vehicles, the minivan is typically at the top of the list. The 2019 Chrysler Pacifica is no exception. This van starts at an affordable $26,995 MSRP, and it was named Best Buy by Consumer Guide®* for the third year in a row. One of the most important factors for a family vehicle is safety, and this van delivers here as well. Take a look at what Chrysler Pacifica safety features will keep your Arlington Heights-area family safe on the roads. 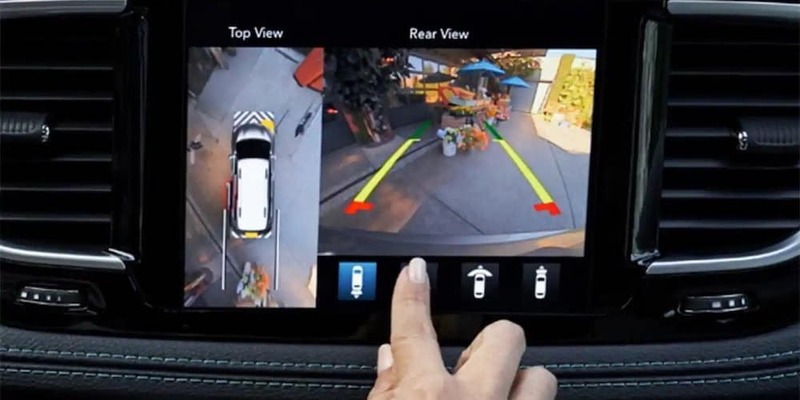 Available 360° Surround View Camera: This camera provides you with a bird’s eye view of your vehicle thanks to four cameras positioned around it to help you see what’s happening around you from all angles. ParkSense® Rear Park Assist with Stop and Available Front Park Assist: Objects can pop in front of your vehicle out of nowhere. This feature makes it easier by alerting you if there’s something in your way and applying the brakes if needed. Available Parallel and Perpendicular Park Assist: Parallel parking is challenging for many Barrington drivers, so this feature helps with this task. Rear Cross Path Detection: Driving in reverse in tricky, especially in larger vehicles. This feature lets you know if there’s something behind you to help prevent a collision. Blind Spot Monitoring System: The blind spot monitor checks to make sure there’s nothing in the lane next to you, ensuring it’s safe for you to merge or switch lanes on the roads around Hoffman Estates. If you’d like to find out more about what kind of safety the Chrysler Pacifica provides, or if you’d like to schedule a test drive, you can contact us online. We also invite you to visit our Schaumburg showroom to speak to a member of our sales or finance teams in person. 0 comment(s) so far on What are the Safety Features of the Chrysler Pacifica?